Composite materials are the combination of 2 or more materials. They were created to combine the beficial properties of the various material incorporated into a single material. With improved understanding, they are becoming more common place. They may use various materials in their make up and include classifications such as polymer matrix composites (PMC), metal matrix composites (MMC), ceramic martix composites (CMC)fibre reinforced plastics (FRP) as well as functionally graded materials (FGM). Advanced Manufacturing: Polymer & Composites Science (AMPCS) publishes refereed research articles addressing advanced and automated manufacturing challenges in structural polymer-based composites and multifunctional materials. Nanocomposites is a new journal dedicated to the most recent developments in nanocomposites. The journal has recently been launched by Maney Publishing and is interested in receiving submissions. Corrosion Engineering, Science and Technology provides broad international coverage of research and practice in corrosion processes and corrosion control. 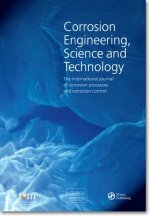 Peer-reviewed contributions address all aspects of corrosion engineering and corrosion science; there is strong emphasis on effective design and materials selection to combat corrosion and the journal carries failure case studies to further knowledge in these areas.